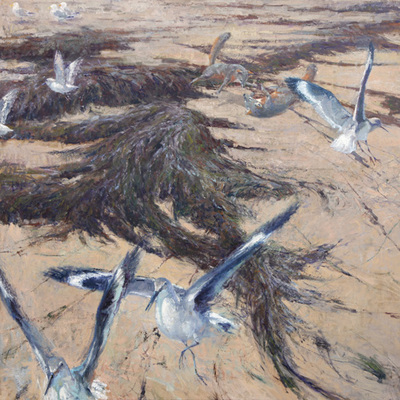 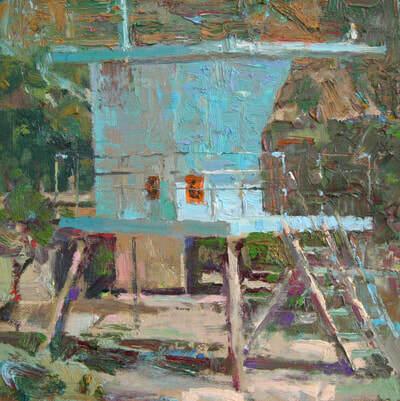 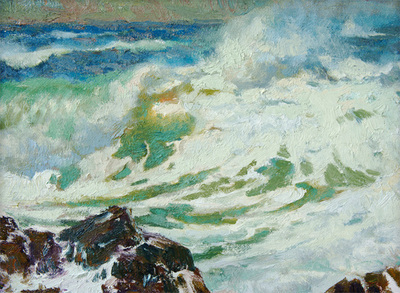 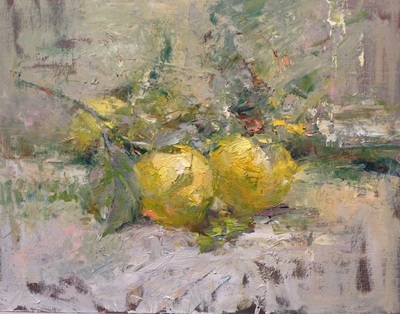 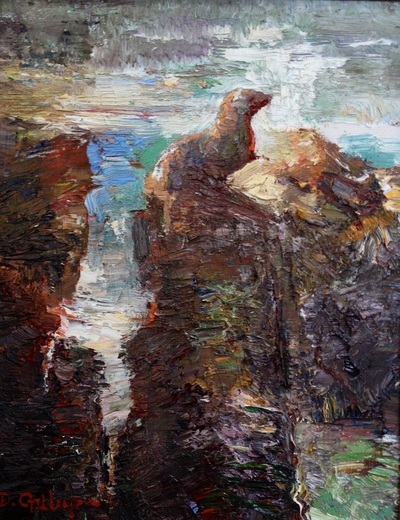 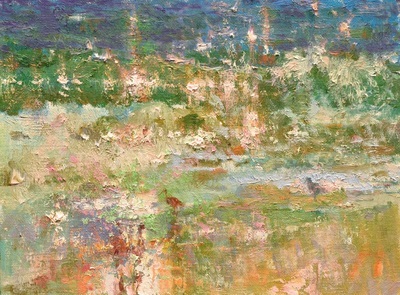 Click on any painting for a larger image, title and extended information on the piece. 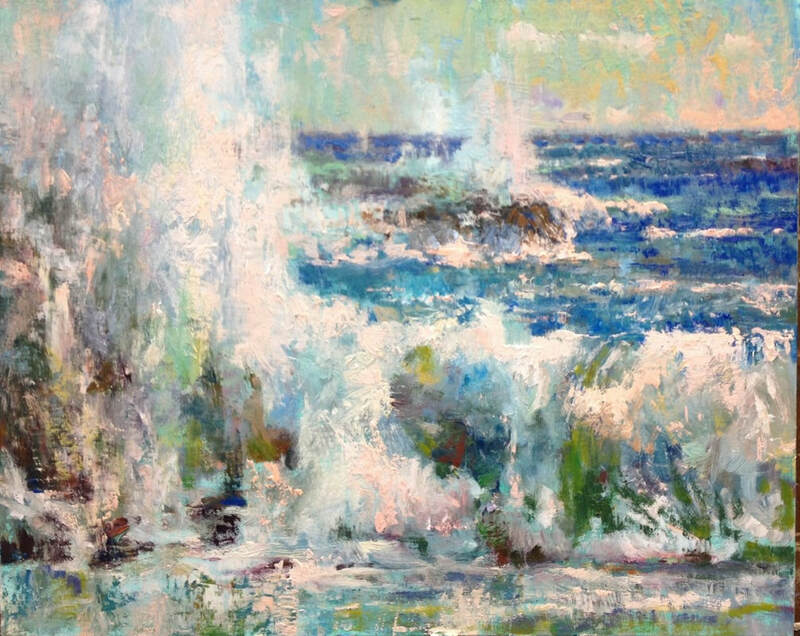 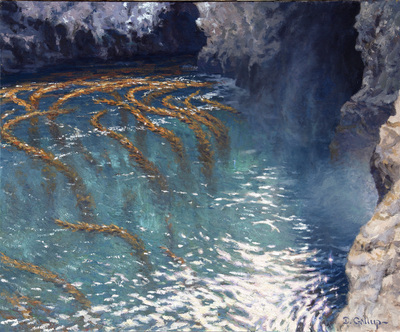 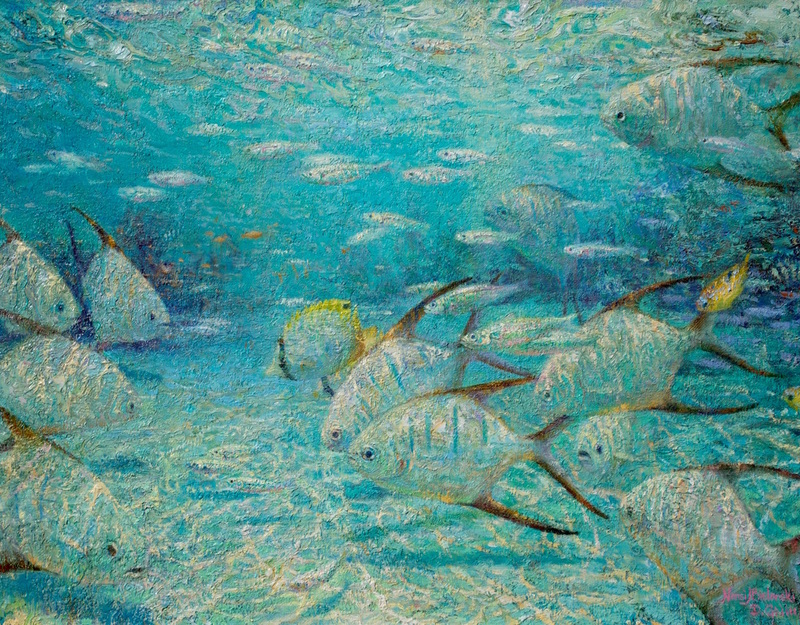 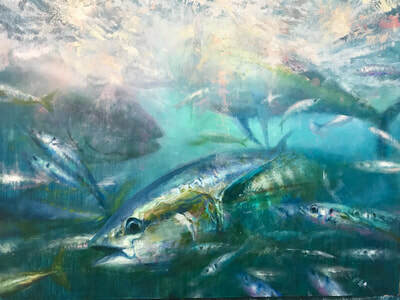 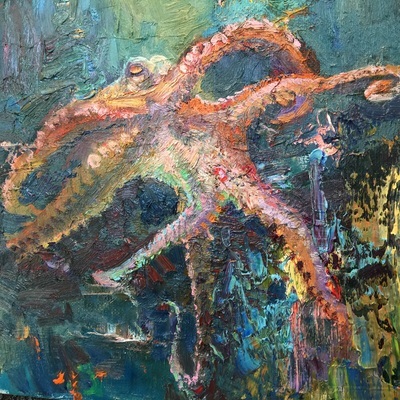 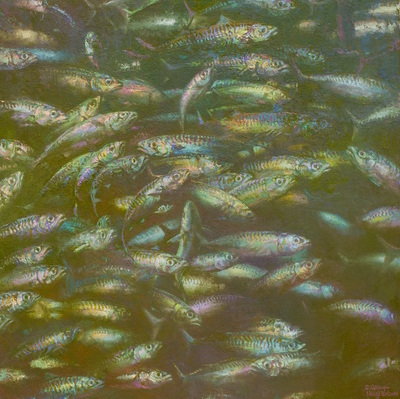 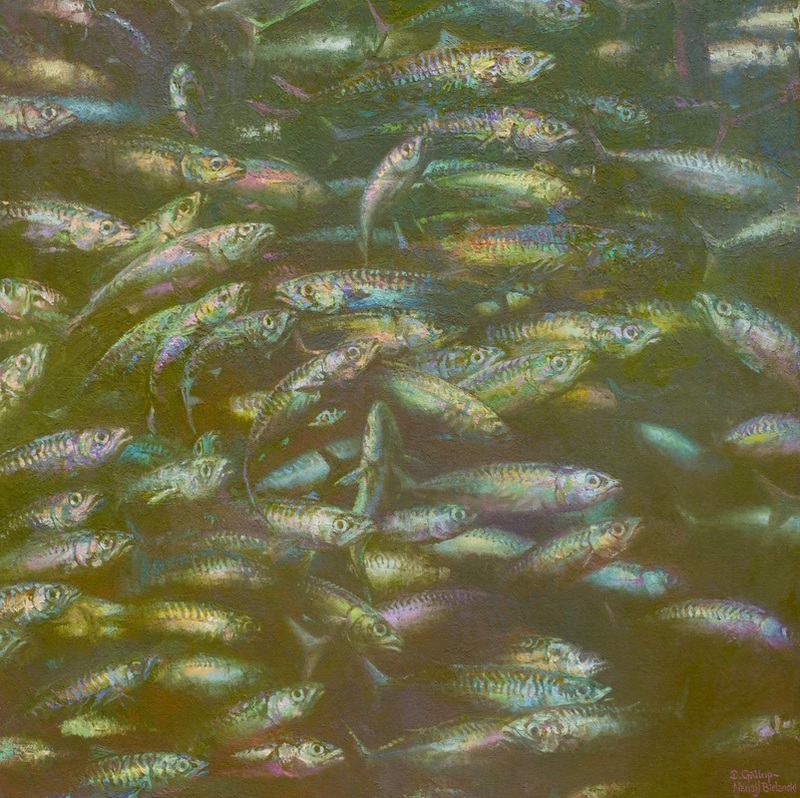 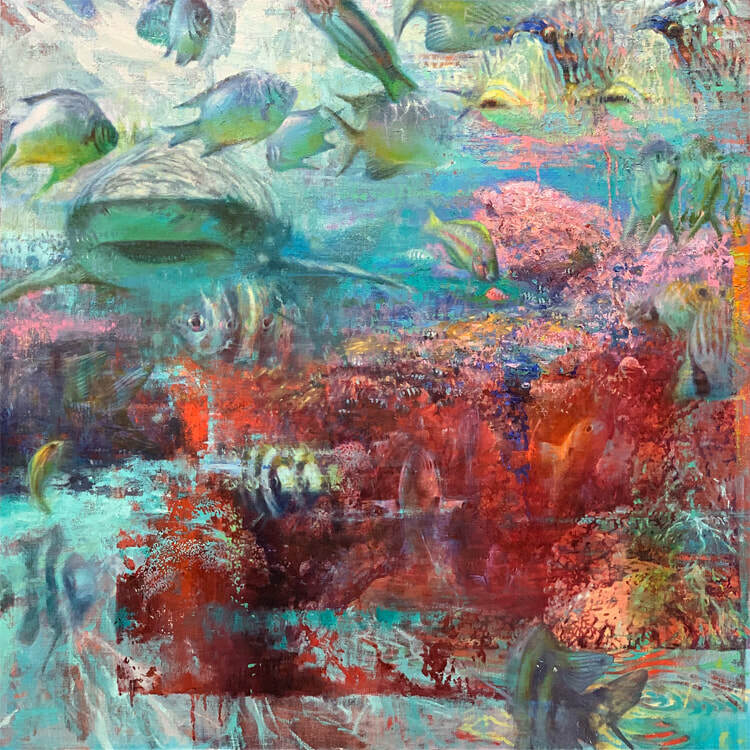 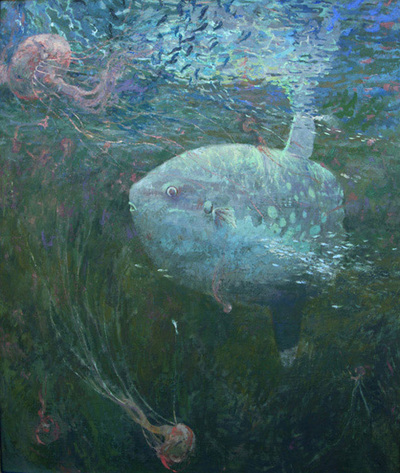 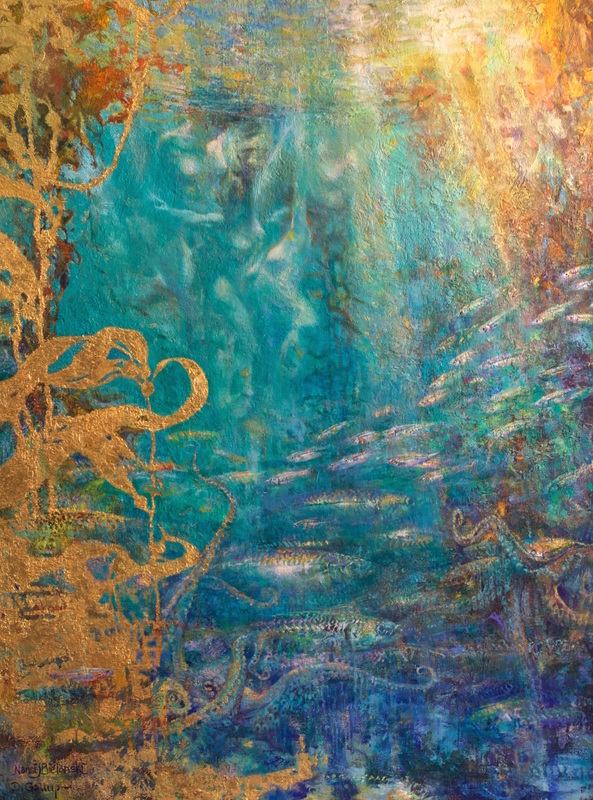 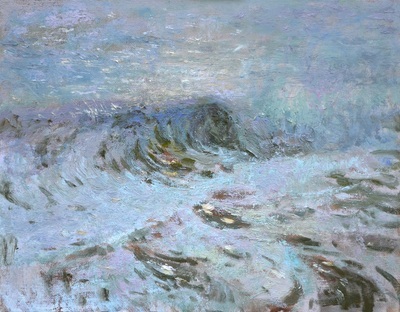 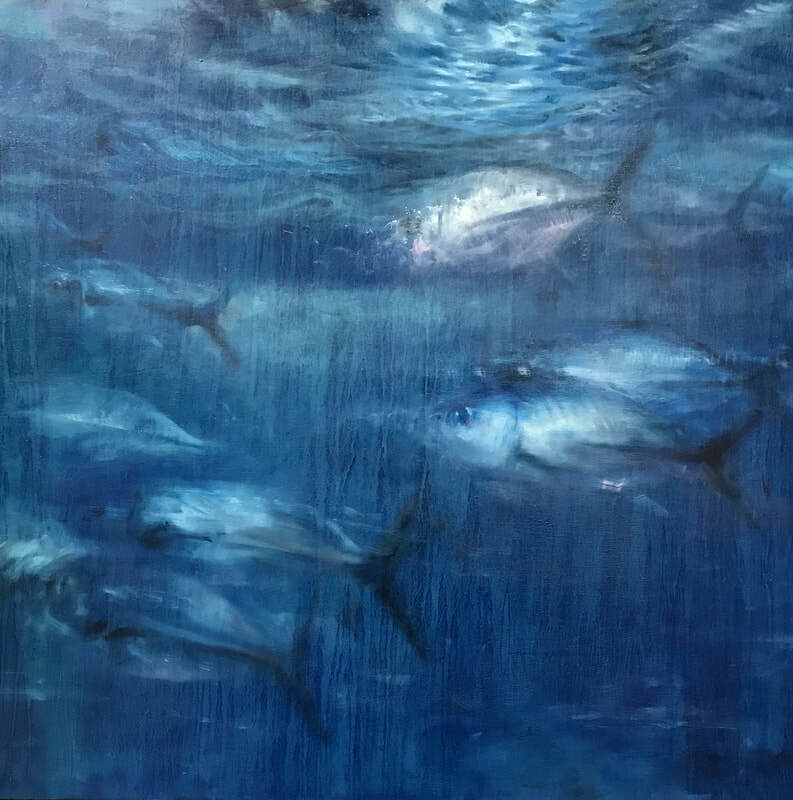 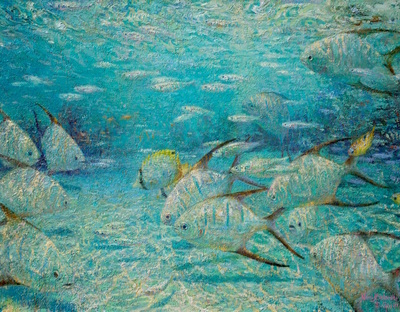 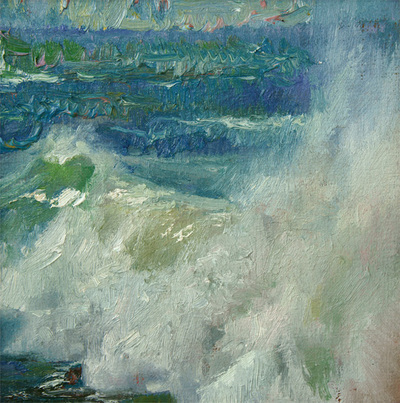 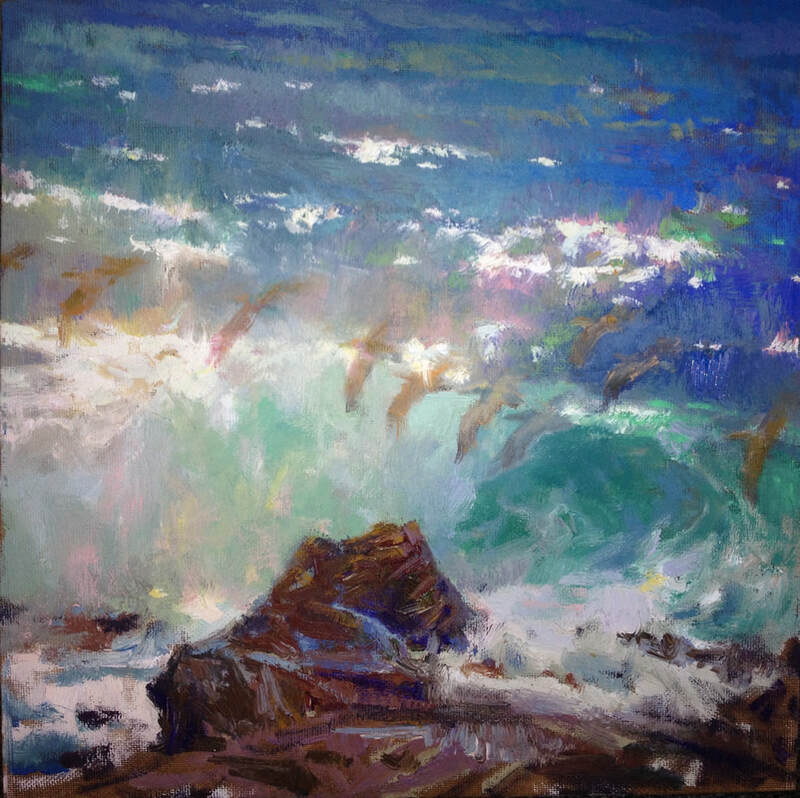 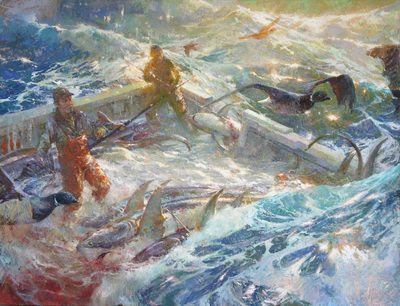 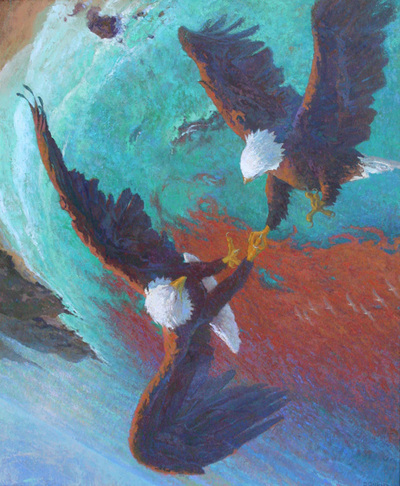 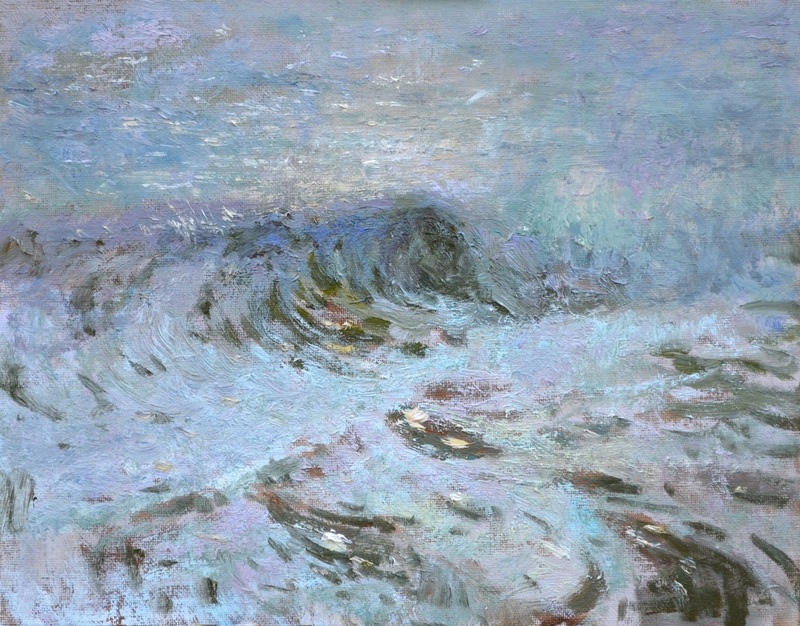 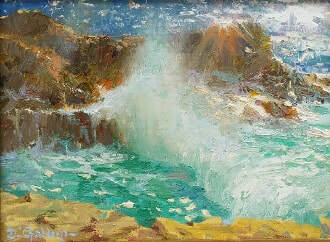 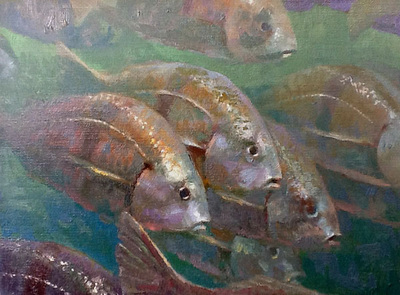 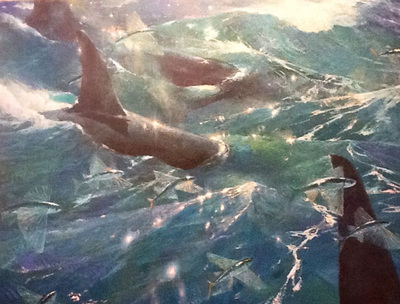 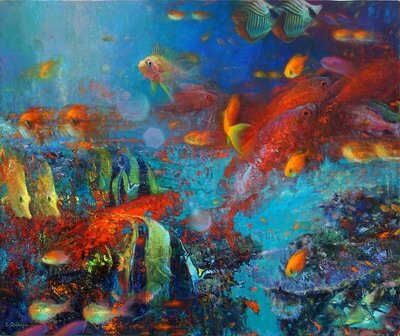 UNDERWATER PAINTINGS: Capturing the ocean, as an immersive experience, is now the primary goal of my work as an artist. 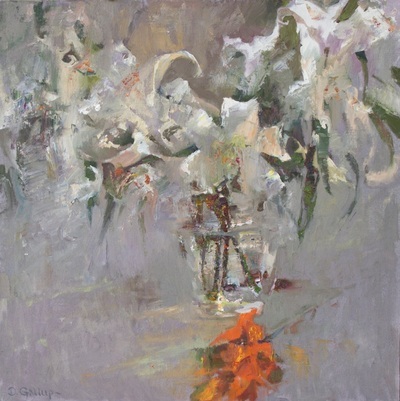 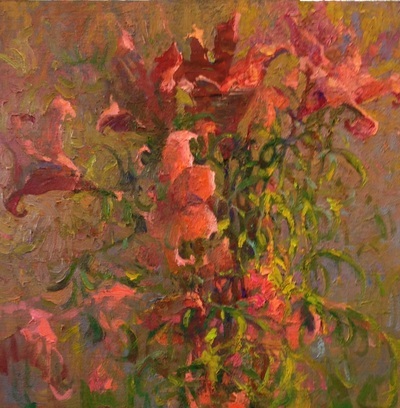 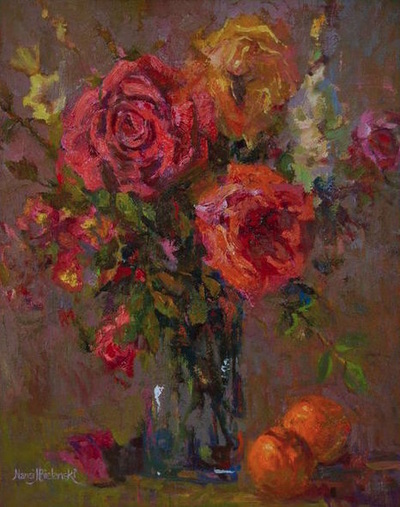 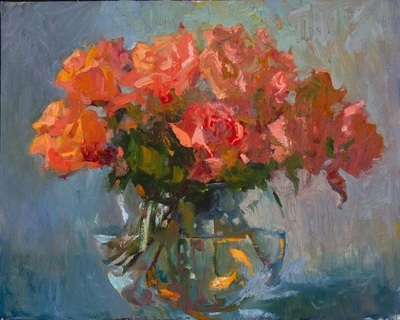 FLORAL AND STILL LIFE PAINTINGS: Why fish and flowers? 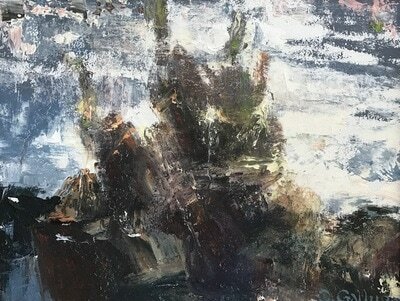 It's easy for me to look at the body of work here and imagine the viewer asking that question. 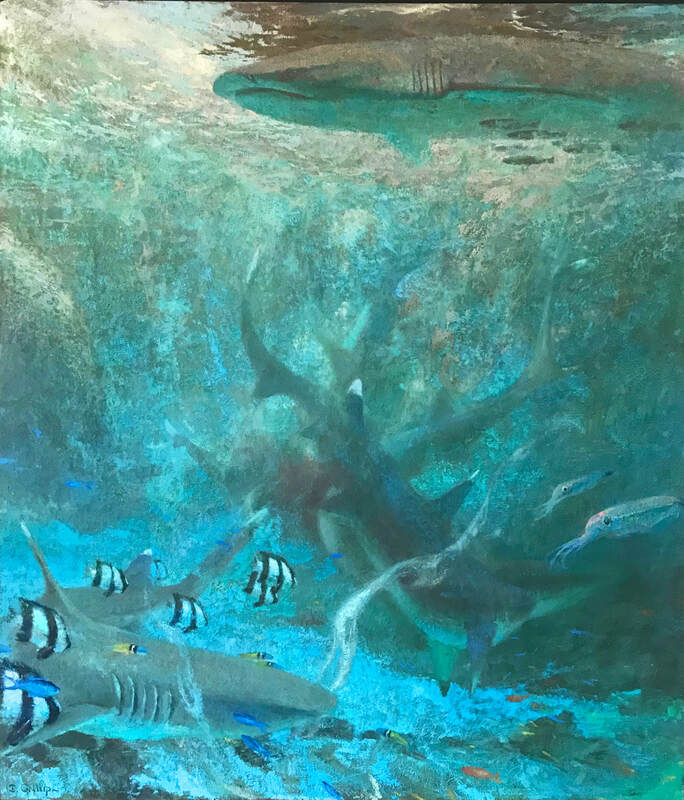 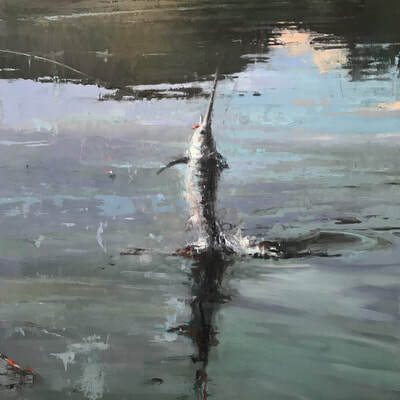 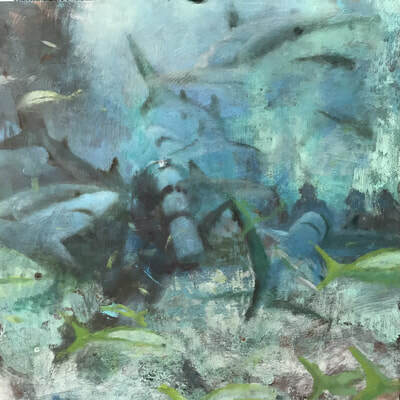 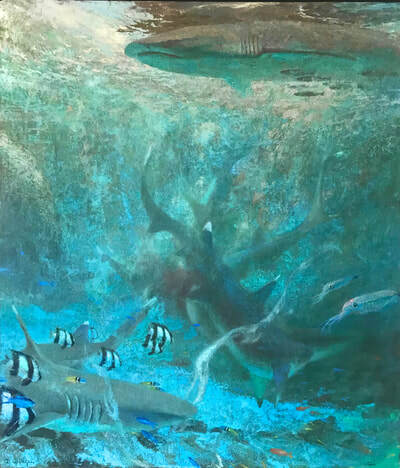 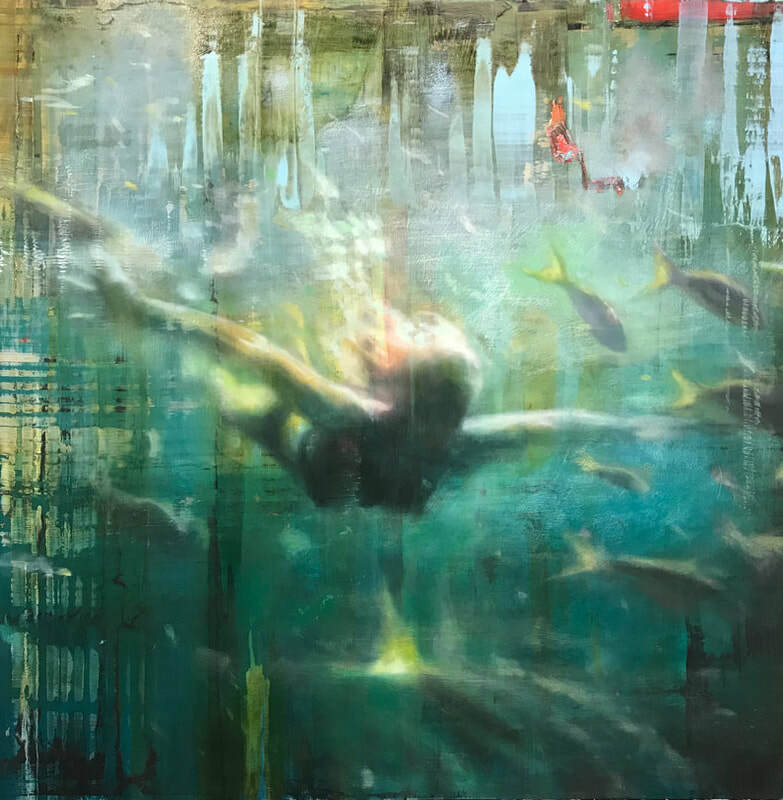 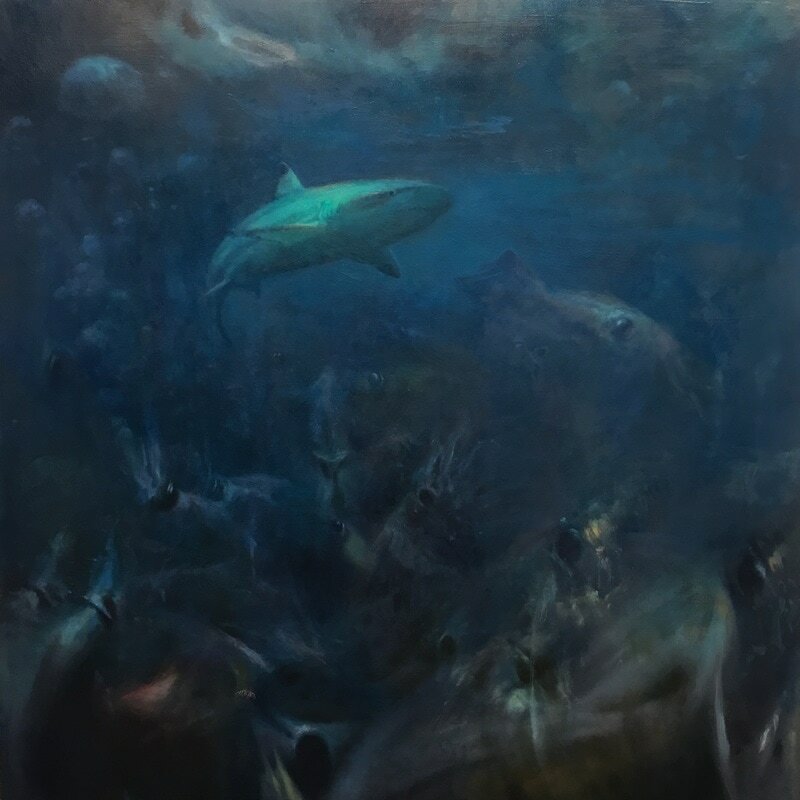 Art of the ocean has been my world for over a decade, and underwater scenes have stolen my attention ever since I first donned SCUBA gear and dropped into the liquid blue. 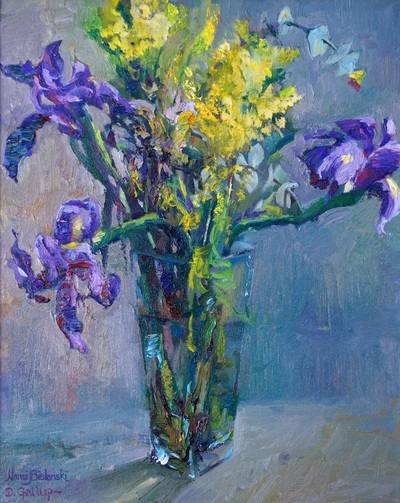 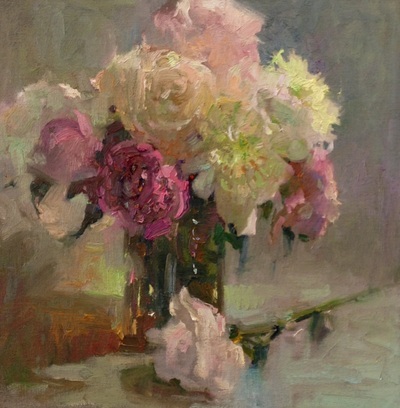 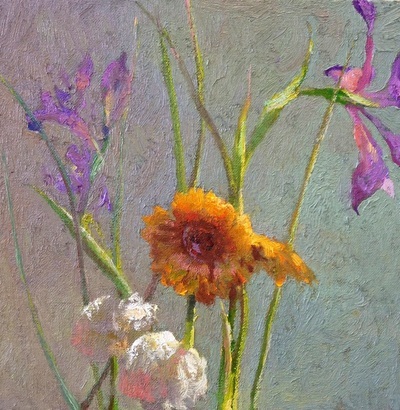 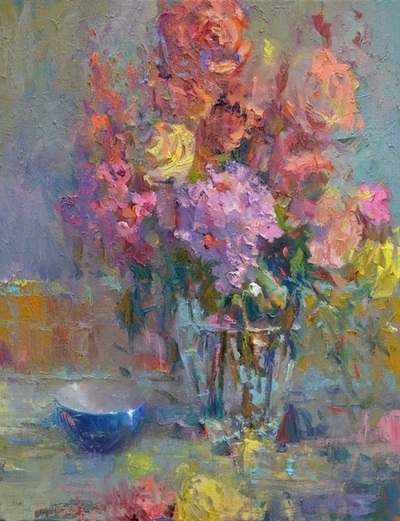 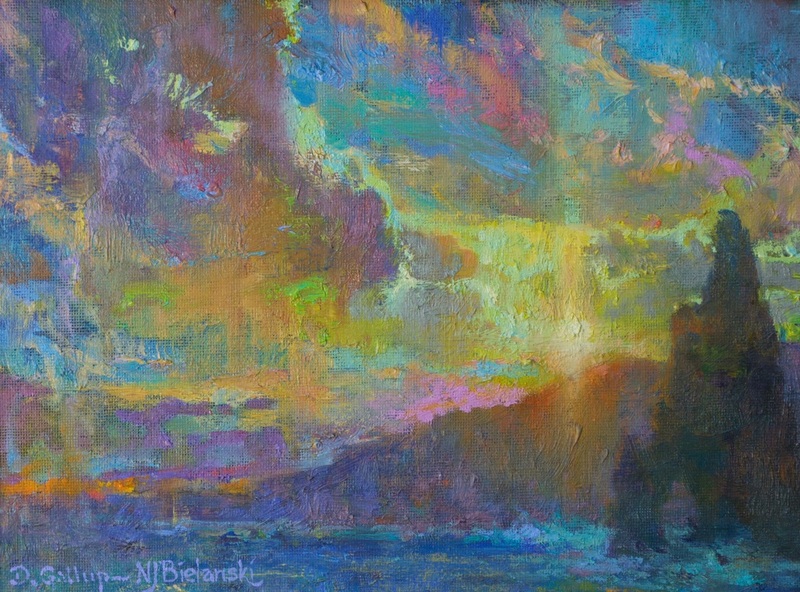 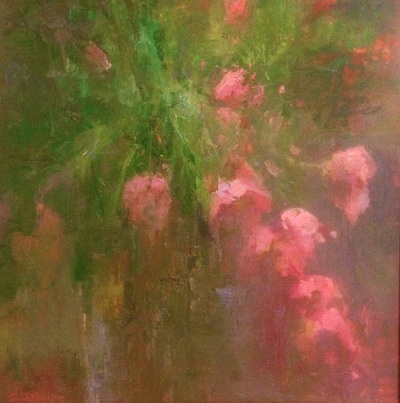 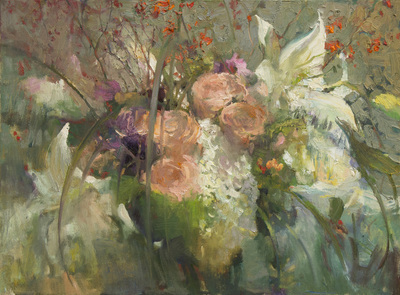 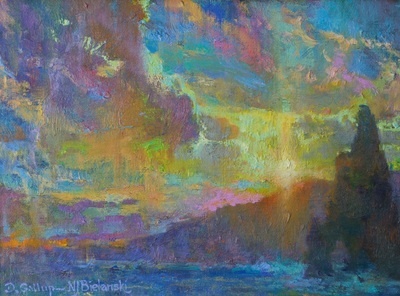 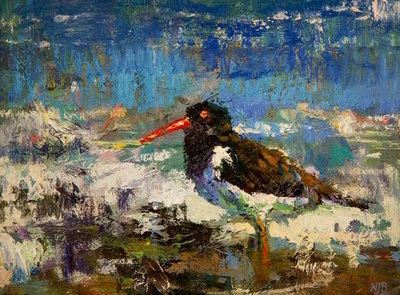 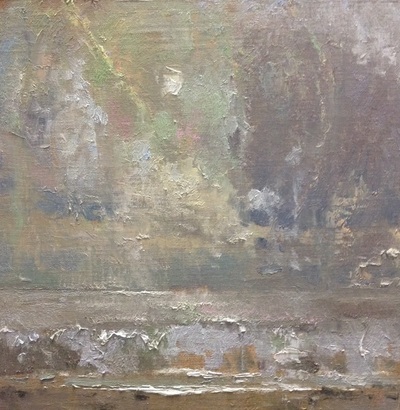 The solitude of my life during these years has been soothed thru my new connection with Nansi Bielanski, and the blooming of our love has expressed itself in the way all things ultimately do for me: on the canvas. 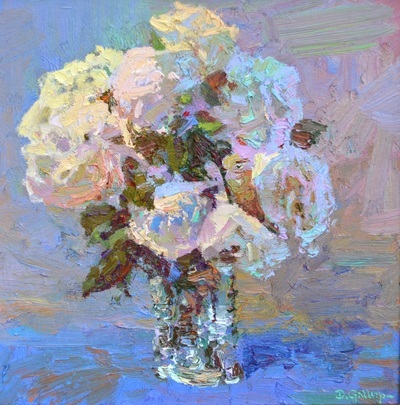 In the case of the floral's, they are a love story between the two of us- some personal and some collaborative, but each a celebration of finding love in mid-life and having a chance to start over with designs on a happy life together. 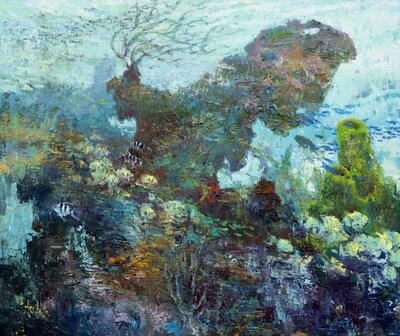 joint expedition to beautiful places where we have never been before.